The majority of concerts take place in the Michaelmas and Lent terms. Usually all main ensembles take part in at least one of these concerts, with many ensembles performing multiple times. Finally all of our main ensembles and the majority of our small groups come together for our Annual Summer Showcase, held in the Great Hall on the Saturday Week 9 in Summer Term. This is the biggest event of the year for ULMS, and as such many hours of rehearsal and organisation go into running it every year. Each ensemble brings something different to the concert, resulting in an exciting and varied programme year on year. Some of our ensembles take part in annual competitions around the UK. Last year both the Big Band and the Brass Band entered such competitions. 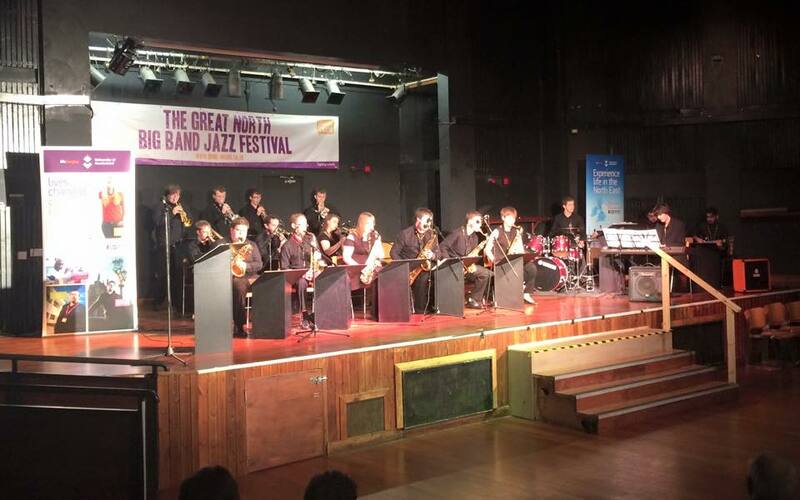 The Big Band took part in the Sunderland Jazz Festival in March, receiving glowing compliments from the judges, whilst the Brass Band took part in both the annual UniBrass competition and the Whit Friday Marches. At UniBrass the band achieved both 4th place overall and Most Improved, whilst at the Whit Friday Marches they achieved the prize of Most Entertaining at Friezland, having dressed up as zombies marching to the tune of Thriller!